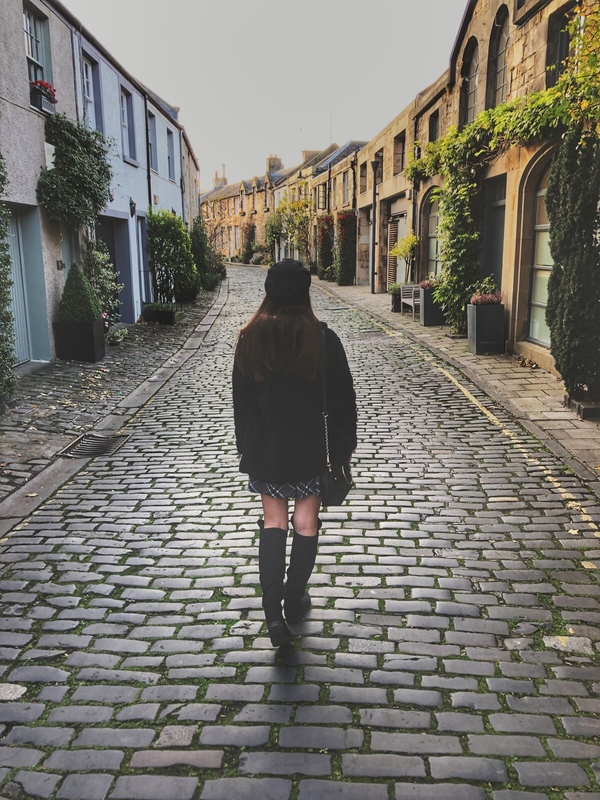 This trip was my second visit to Edinburgh, but this time around I wanted to really get to know the city. 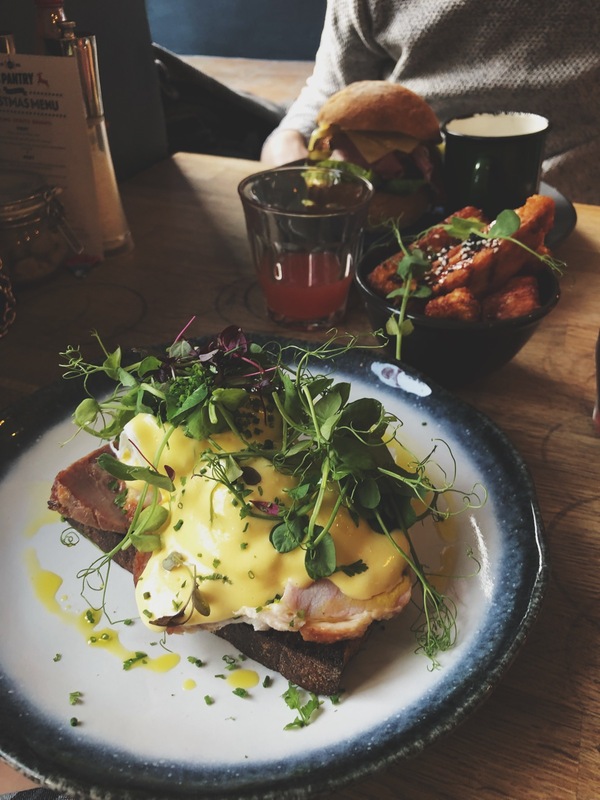 To visit neighbouring areas, get lost in the pretty streets and brunch in as many places as possible, because you know, priorities. 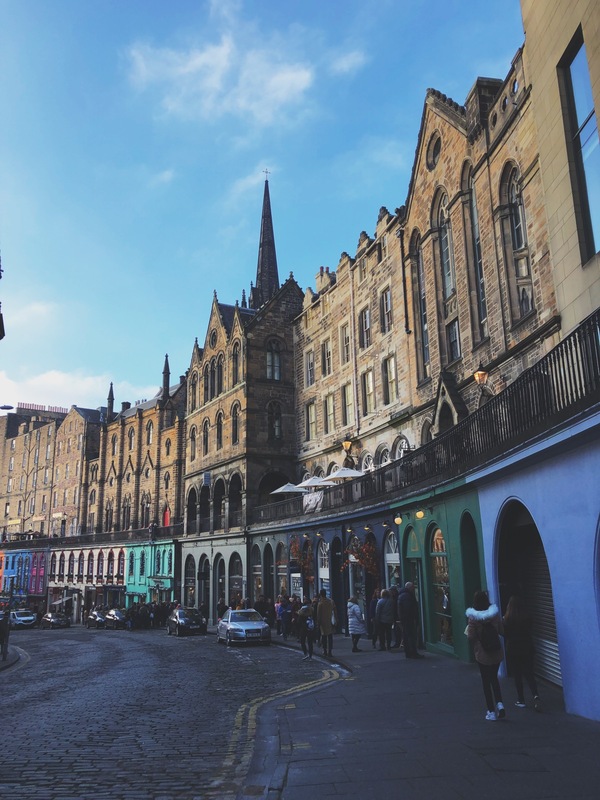 After a jam-packed schedule and covering 25 miles, here it is: my guide to Edinburgh. It’s hard for me to recommend transport as we walked 90% of places. There are trams and buses literally everywhere so ample opportunity to save your legs. We clocked 25 miles over our weekend there and as I always say, I think walking is the best way to truly see a city. We did use Uber on nights out which seemed a lot more affordable than in Manchester where I mostly get ripped off with overcharging. A 5-10 minute journey costed about £5. 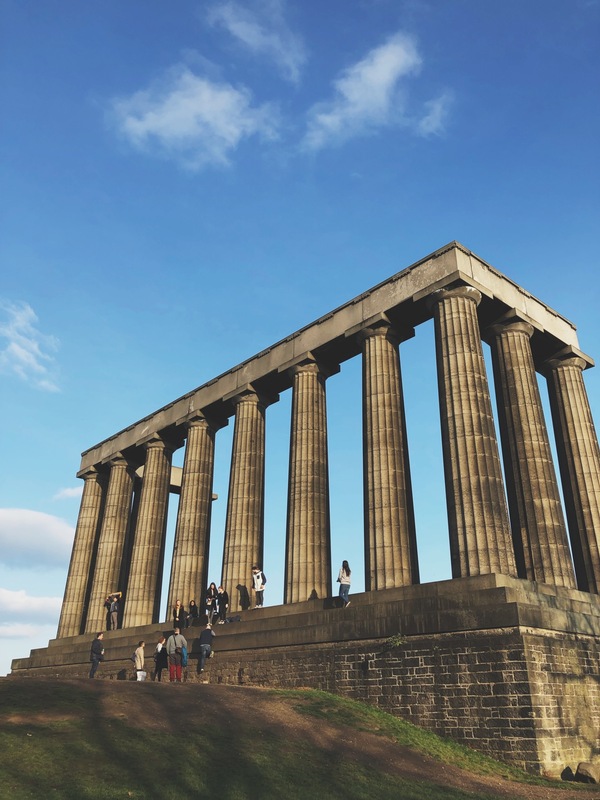 If you want to get some views but not overdo it, head to Calton Hill - a ten minute incline to 360 views across the city, surrounding hills (including Arthur’s Seat) and the sea. 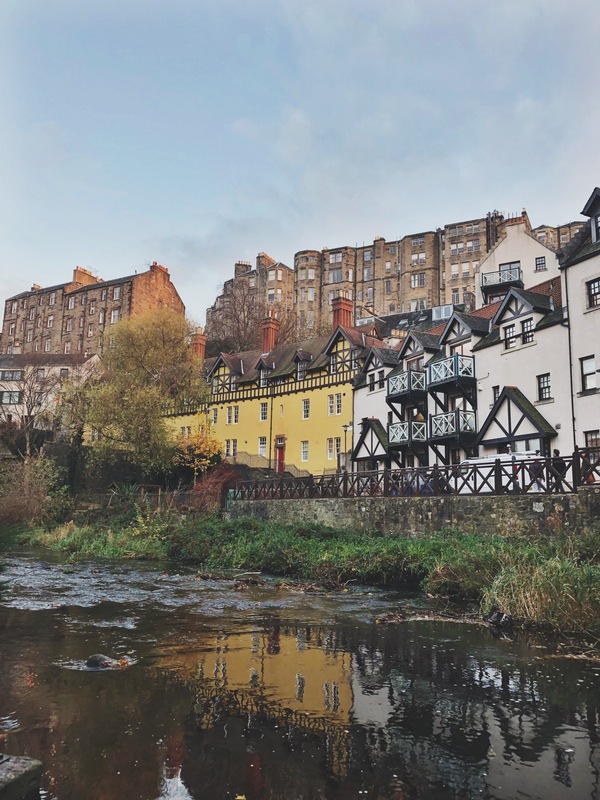 It really makes you see how unique Edinburgh is as a location - it literally has the best of every world. 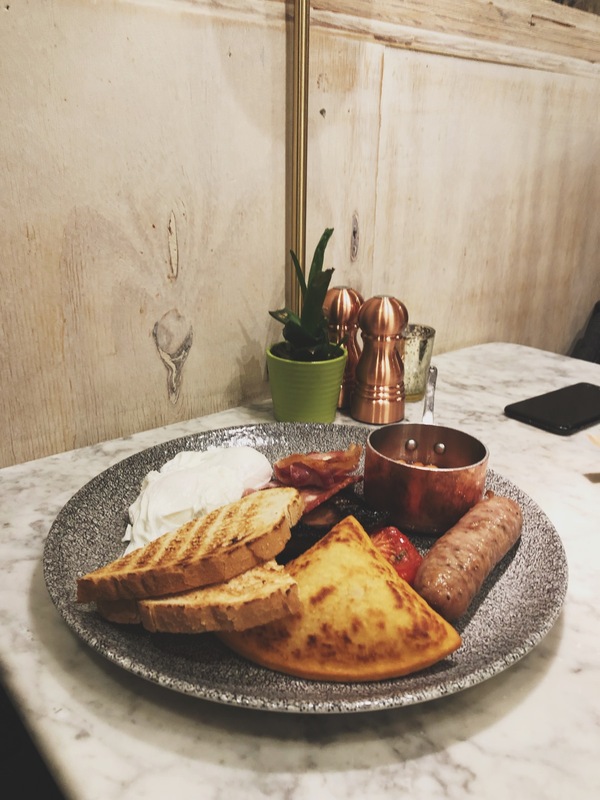 We stumbled across The Pantry after getting peckish in Stockbridge. 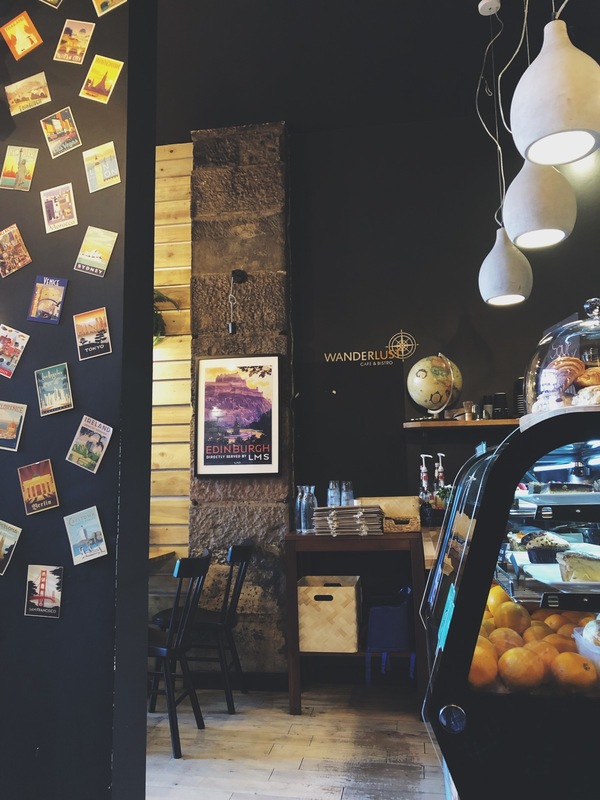 It’s a quaint brunch and lunch cafe nestled into the pretty town just outside of Edinburgh. We got a table straight away (thankfully), and despite already having had a McDonald’s breakfast that day (oops! ), I ordered Eggs Benedict. My boyfriend over ordered, thinking the roll that came with the soup was just a plain roll - it was in fact a sandwich. So he struggled with his side order of halloumi fries, which meant more for me, so I wasn’t complaining. The portions here are really filling and great value for money, as well as being incredibly tasty. And I really recommend the halloumi fries. It was his favourite place we ate out of the entire trip. 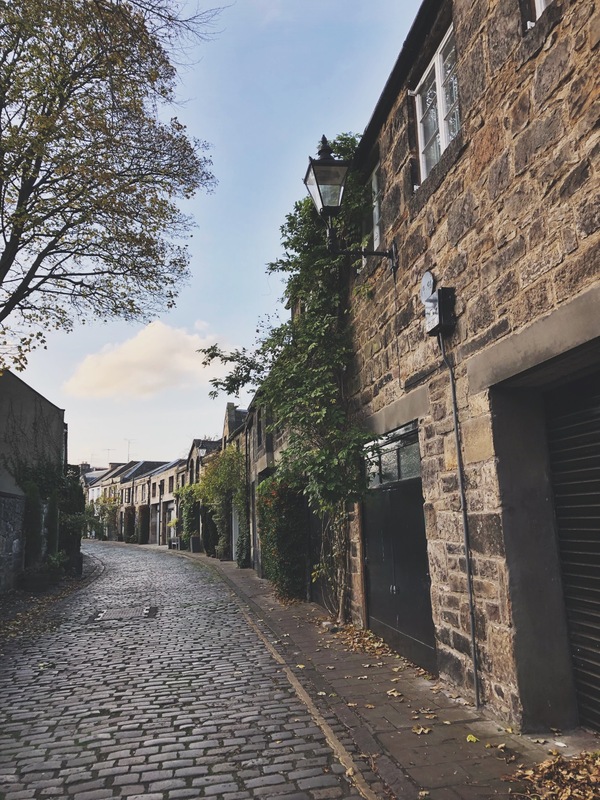 Probably one of Edinburgh’s most Instagrammed streets, Circus Lane sits in Stockbridge, a 5-10 minute walk outside of the centre. 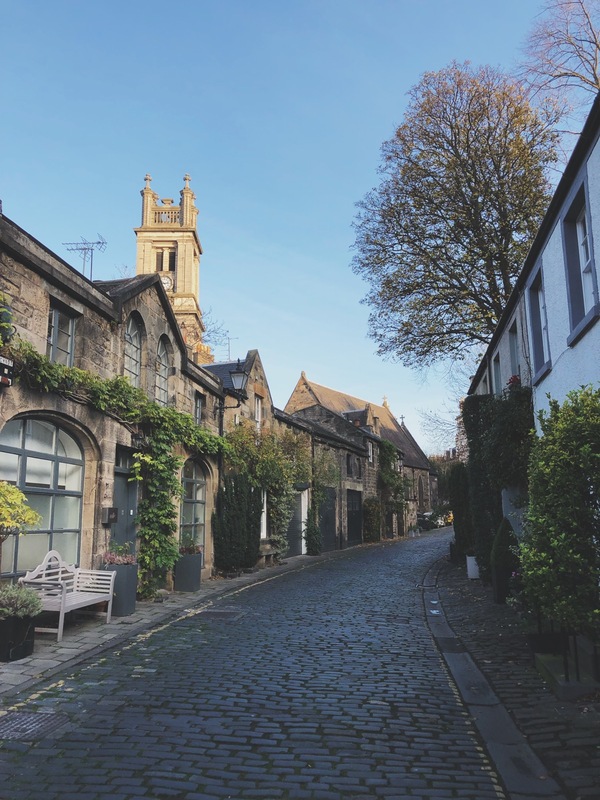 A cobbled street; it's nestled in amongst pretty chocolate box houses, greenery and unspoiled views. Having heard all the hype, I was expecting lots of tourists like me, but we had the whole street to ourself and luckily my boyfriend stood patiently whilst I got about 50 shots of it. Despite accidentally stumbling across lots of museums and galleries, we’d earmarked this one. 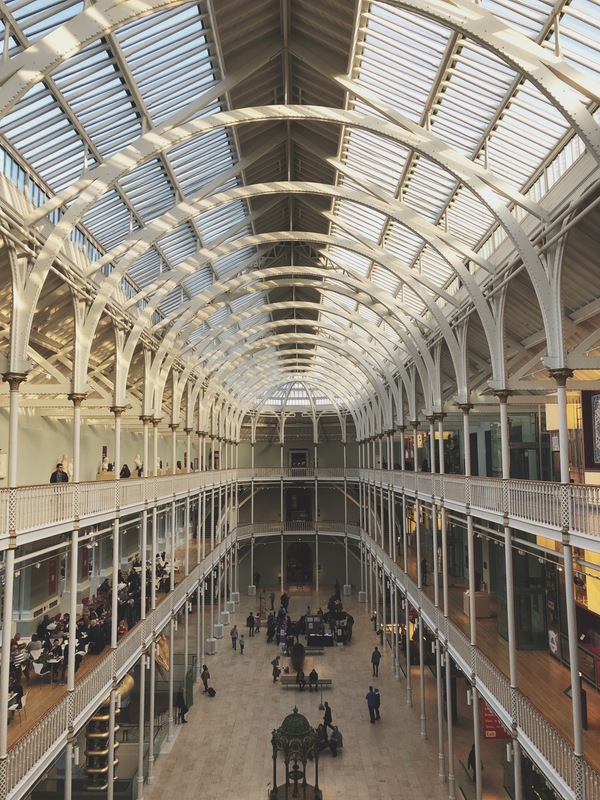 With over five floors of galleries, exhibitions and interactive bits, you could lose hours in here and it spans across traditional, history, science and fashion, so there’s something for everyone. I found out I weigh the same as a giant anteater so you learn something new every day… Also, on the 7th floor is a beautiful rooftop overlooking the city. It was pretty chilly when we got up there so we didn’t stay long, but well worth a visit. Plus the central atrium of the building is nothing short of stunning, with so much natural light pouring in. 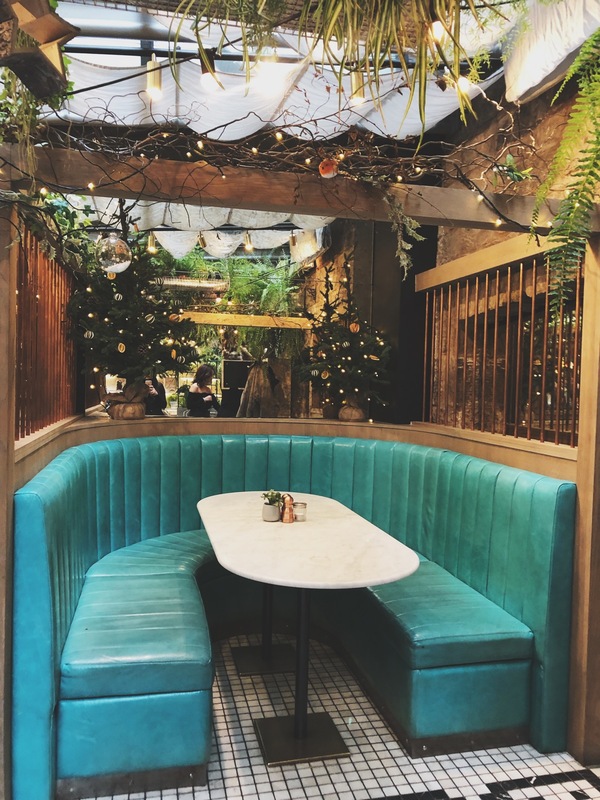 We’d booked a reservation for brunch at Rabble ahead of the trip, and I was excited to check out the interiors. 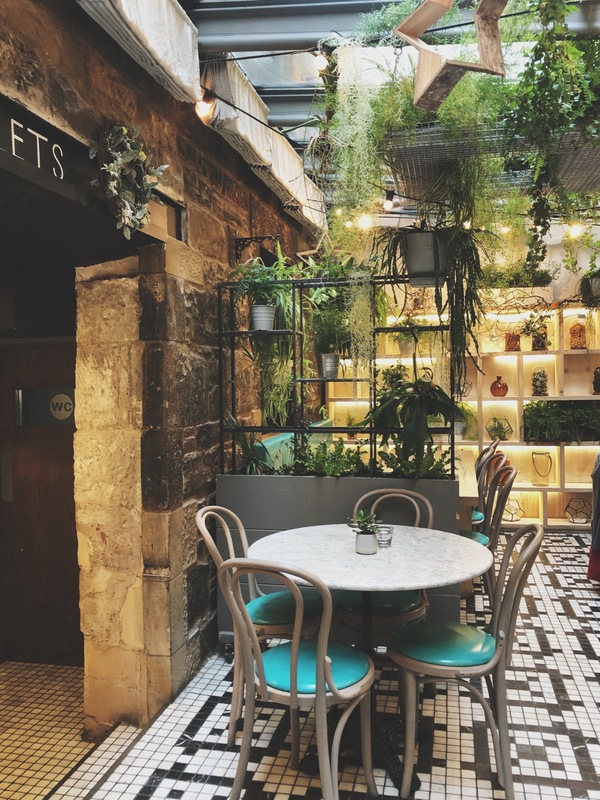 A few minute’s walk off Princes Street takes you to this cute eatery which is adorned with greenery and fairy lights. We both ordered a full English as we knew we had a lot of walking ahead of us that day. Sadly it arrived without the haggis advertised which was a little gutting as I’d never tried it and wanted to. Despite that, the food was really great and the interior is a real selling point to this place. 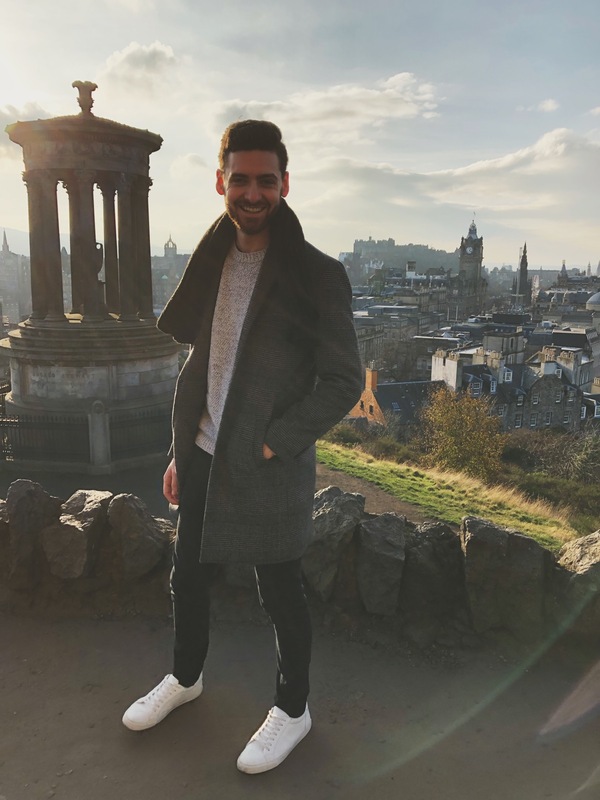 The only let down for us was the service which was a little slow and unorganised until we got our food, but I’m sure it was just a one off, and wouldn’t stop us going back again if we lived closer. 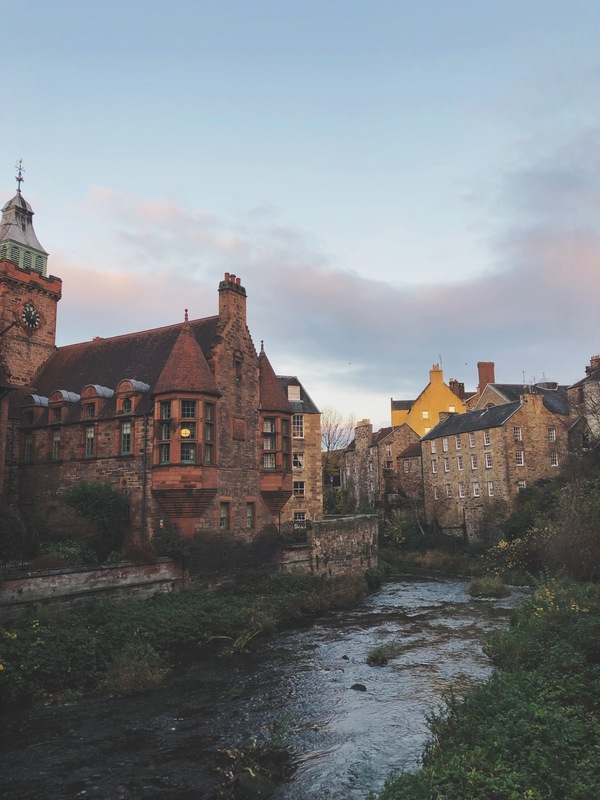 A 15 minute walk out of the city takes you to Dean Village. And I’m not kidding when I say it’s like something out of Disney. Charming wooden houses, buildings, pops of colour and pretty streams make you forget you’re anywhere near the hustle and bustle of a city. 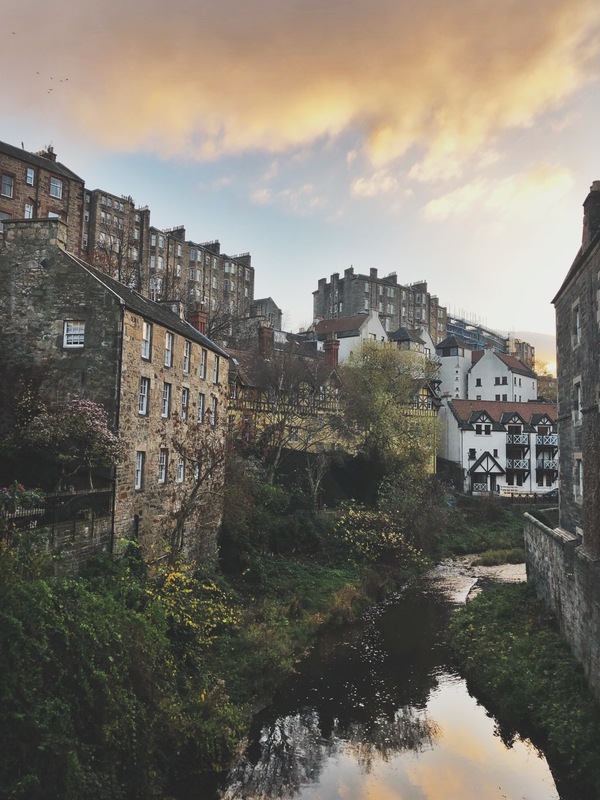 Take the walk along the water of Leith and do a slow circular stroll around this gorgeous neighbourhood. 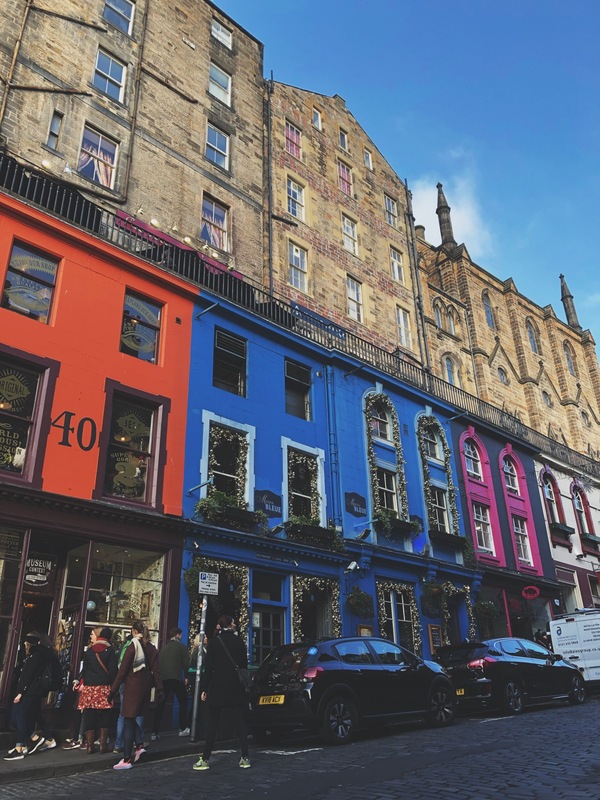 One of the most famous streets in Edinburgh, and is said to have inspired JK Rowling writing Harry Potter, the rainbow run of shop fronts is pretty iconic to say the least, and is worth a photo or five to snap its beauty. Cockburn Street comes a close second and really shows how hilly the city is. 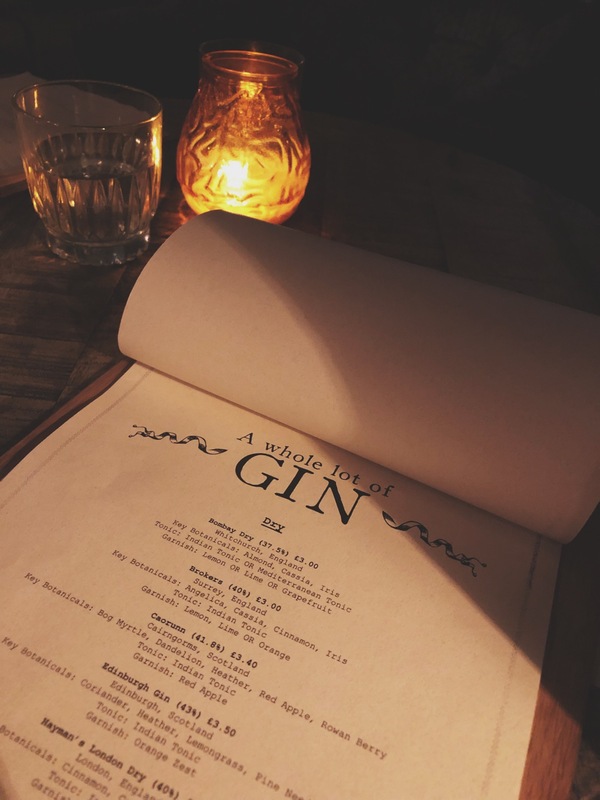 Okay so whilst it’s a gin bar, it does do more than just gin, but with pages and pages of different ones to pick from, it would be rude not to… It’s an underground bar built into the arches and unless you know it’s there, you might miss it. 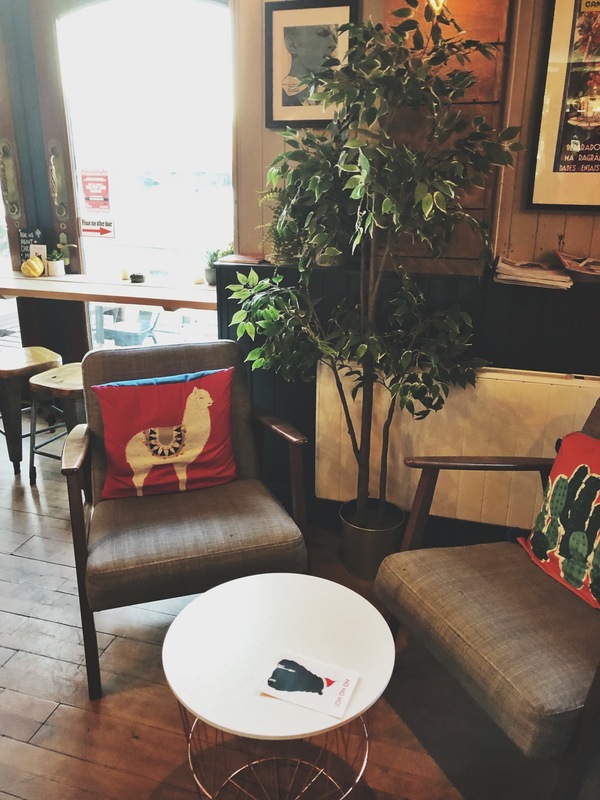 It was super homely and inviting to head down here after a cold day of seeing the city, with an open fire and super friendly staff. Plus you can order nibbles too! 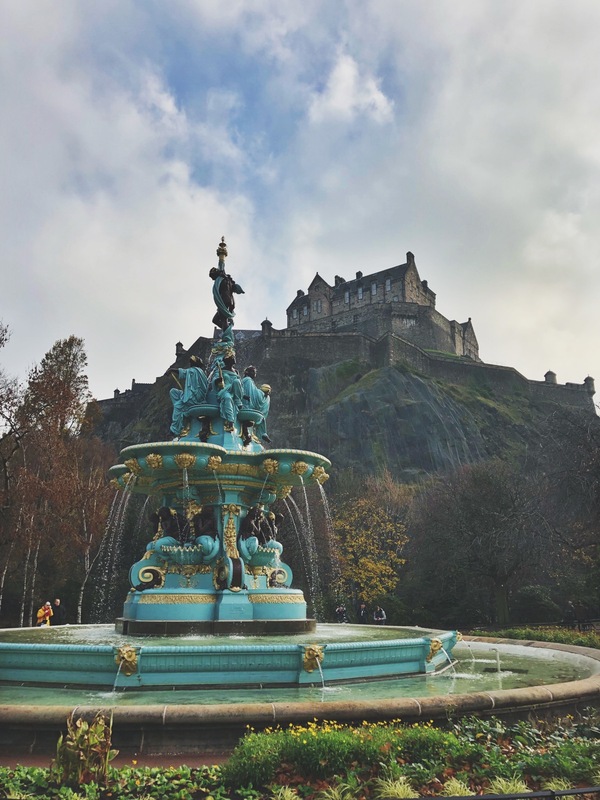 You can head up through the winding roads, or for a great view of the city, take the scenic route through Princes Street Gardens. Head to the water fountain first for a quick pic, and then begin the 5-10 minute incline up to the castle’s cobbles. 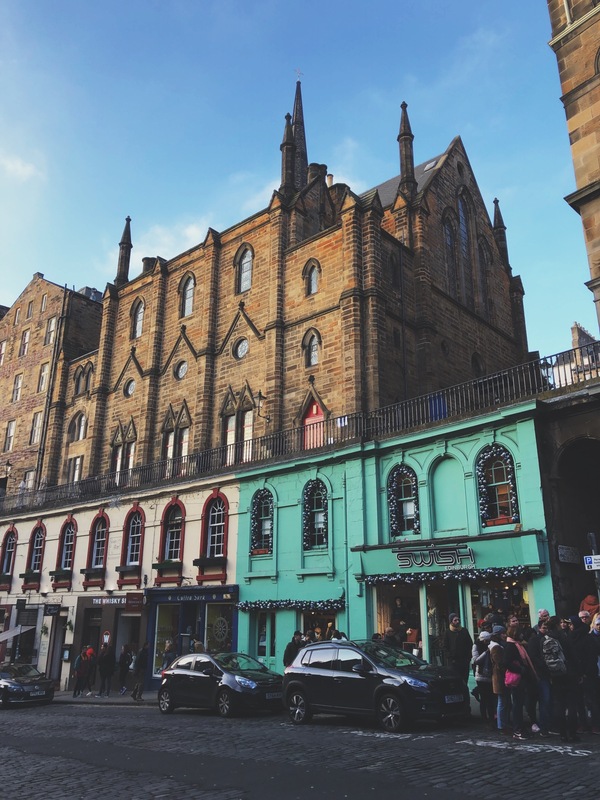 We stumbled across here, literally, whilst walking along the Royal Mile. 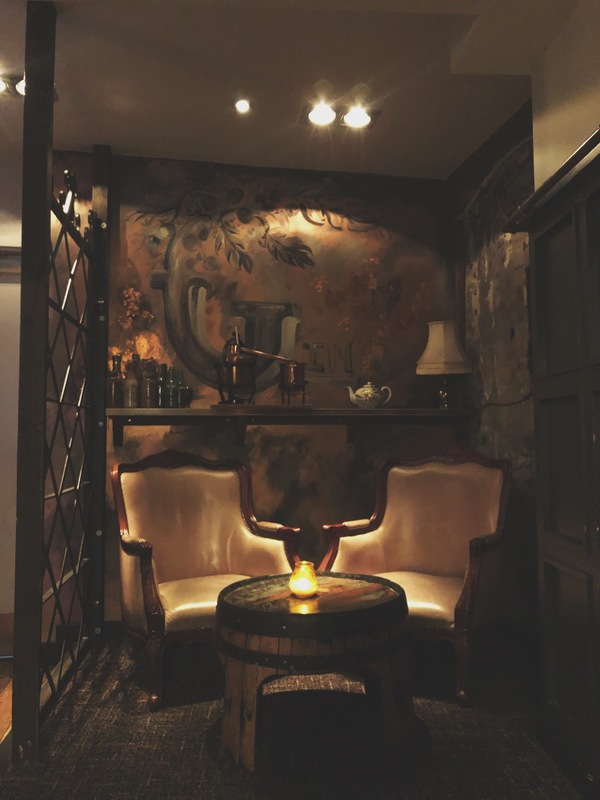 We were too early for a drink at the Tollbooth Tavern, which was a really historic building, so we popped into Wanderlust for a coffee and a cake. 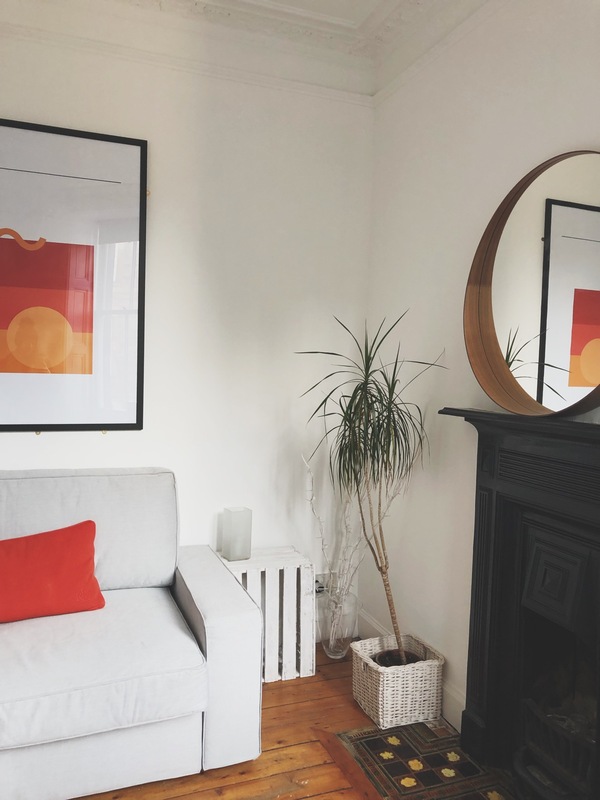 It’s small and cosy with travel postcards adorning the walls. 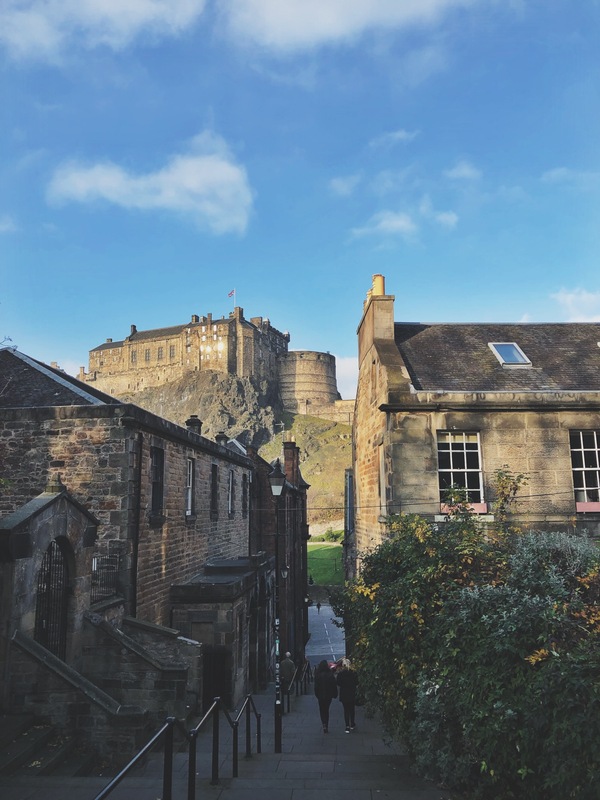 Whilst it costs to go in, you can see some of the castle for free just outside of the castle's entrance, and take in views of the city whilst you're at it. As the front of the castle gets easily overcrowded, another good vantage point looking up to the castle is to head down back through the city to Vennel. A beautiful venue inside and out with towering ceilings, columns and original features. 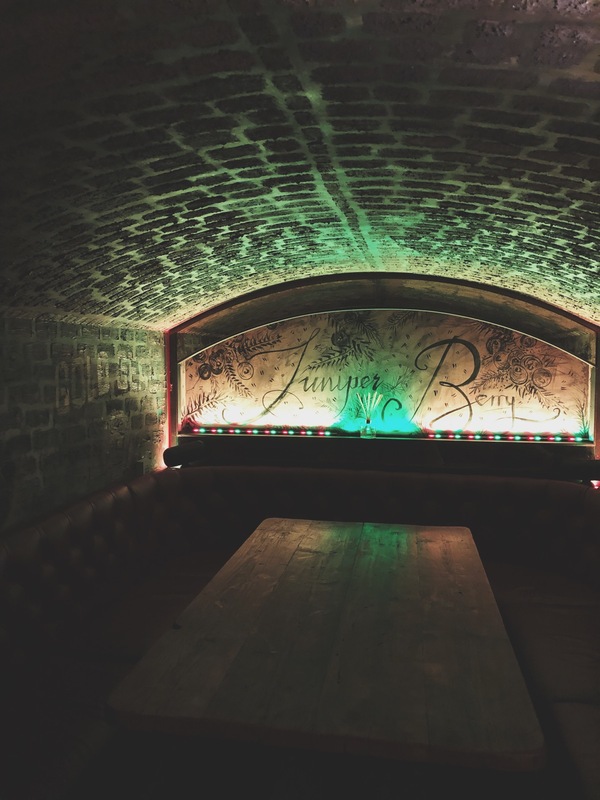 You can lunch, brunch and dinner in here - and you can book a year in advance, so that says something. We just stopped by for drinks - arriving just before 10pm and met with a queue outside due to how popular this place is, so bear that in mind if you fancy making a trip, as it was freezing waiting outside. 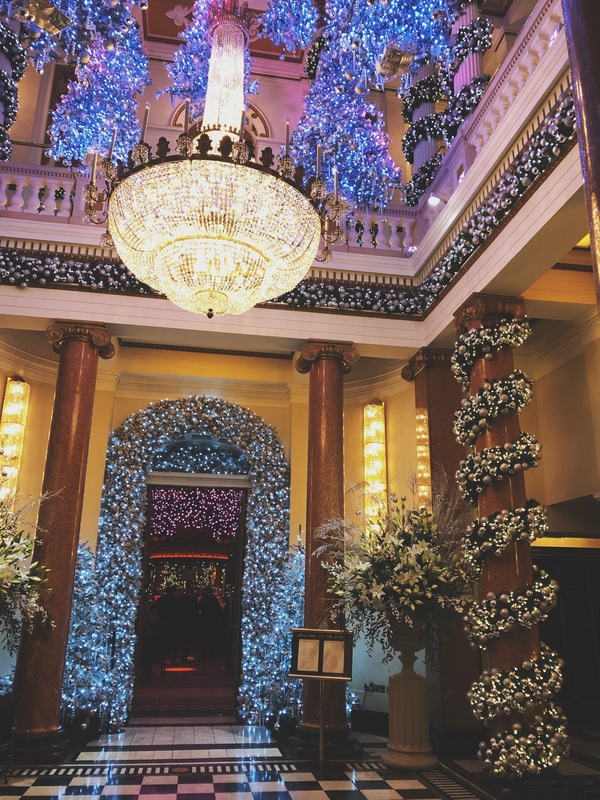 Luckily, we were let in after about 10-15 minutes and for me, it was worth the wait as it really is breathtaking when you step inside, especially with all the Christmas decorations put up. 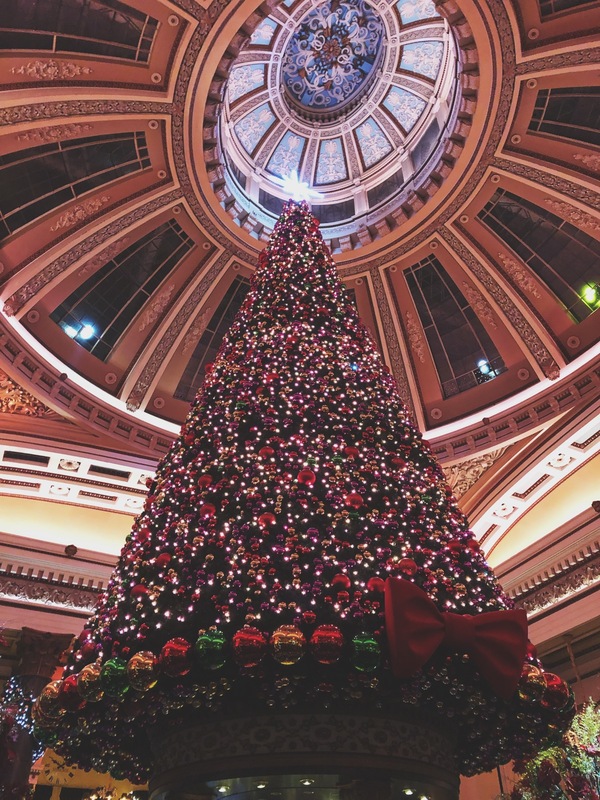 The main bar is inside the dome and had a huge Christmas tree in the middle. For a place this fancy, I was expecting overpriced drinks, but that wasn’t the case, the Malbec there was incredibly smooth and delicious. 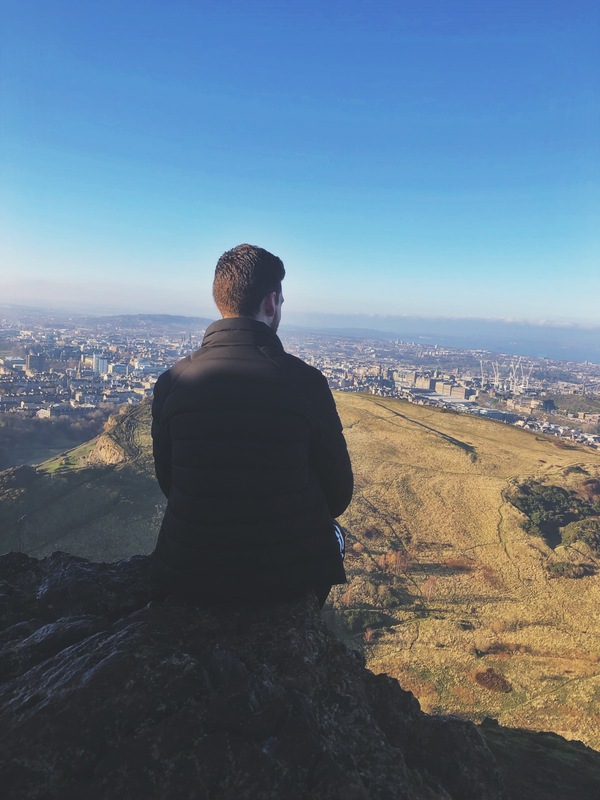 If you’re feeling fit and ready, climbing Arthur’s Seat is one to put on your to-do list. 250m above Edinburgh and not one for the steady walkers, save around two hours to climb up and down at your own pace. I grew up in the country and on lots of walks, and even I needed a few breaks on the way up, but it’s worth the effort as it’s a stunning view across the neighbouring areas. The city is full of hotels and apartments to choose from, from budget to high-end. We were toying between a hotel and an apartment but settled on the latter when we decided to drive, as most hotels don’t have parking, or if they do, it’s pretty costly. I’ve stayed with the Motel One chain before, and if we’d wanted a nice hotel that didn’t break the bank, we would have gone with them. 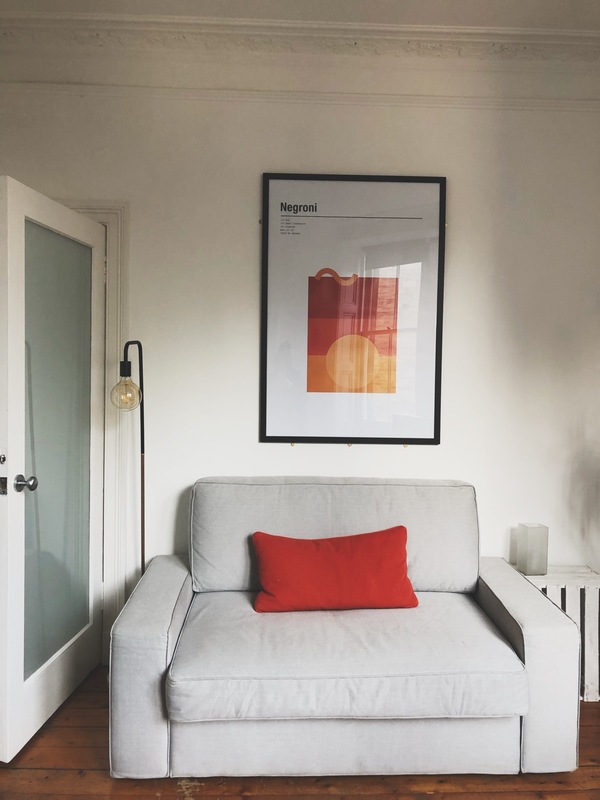 We stayed just outside of the city centre next to Arthur’s Seat for the same price as Motel One, and to say I loved our little apartment was an understatement. 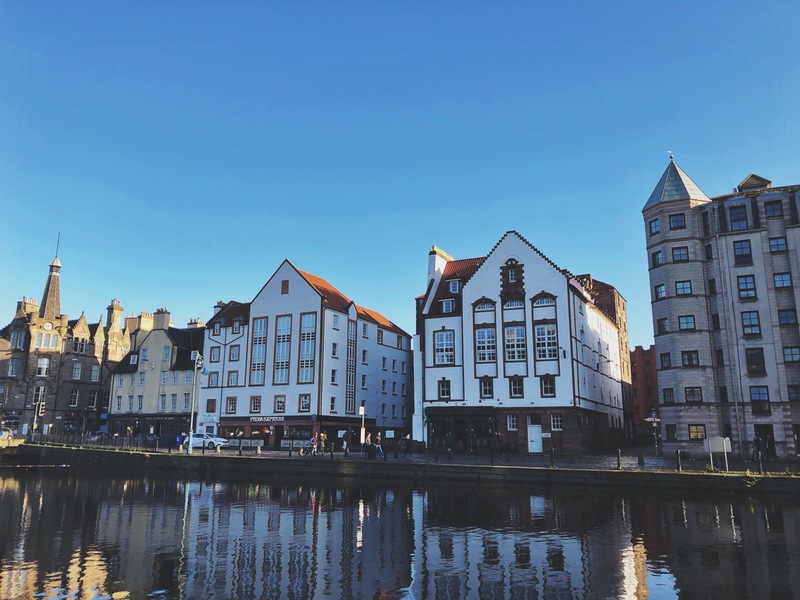 It worked for us as a base too, as on our final day we drove 5 minutes out of the city to nearby Leith. 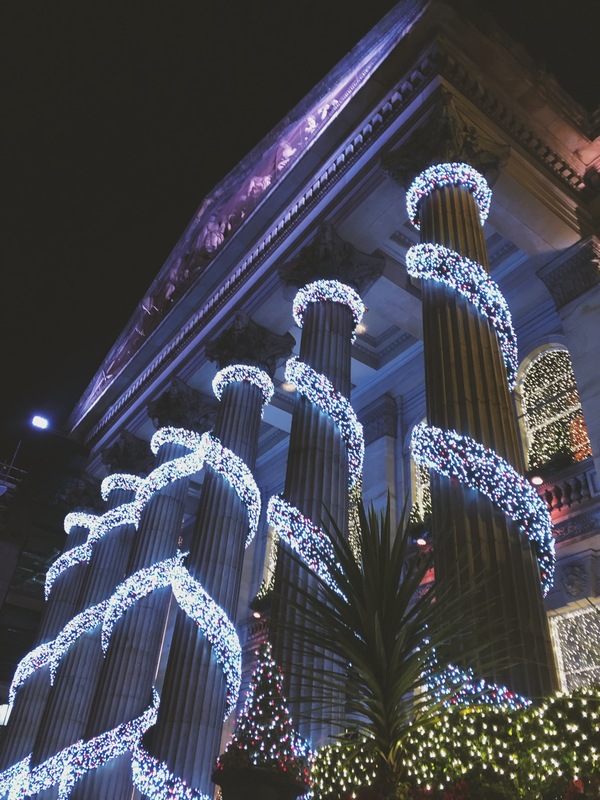 A 5 minute drive out of Edinburgh City centre takes you to Leith. A port district full of quaint shops, pubs and bars, it had an Amsterdam vibe to me, and felt miles away from the city centre. Stroll around the docks before a bite to eat. 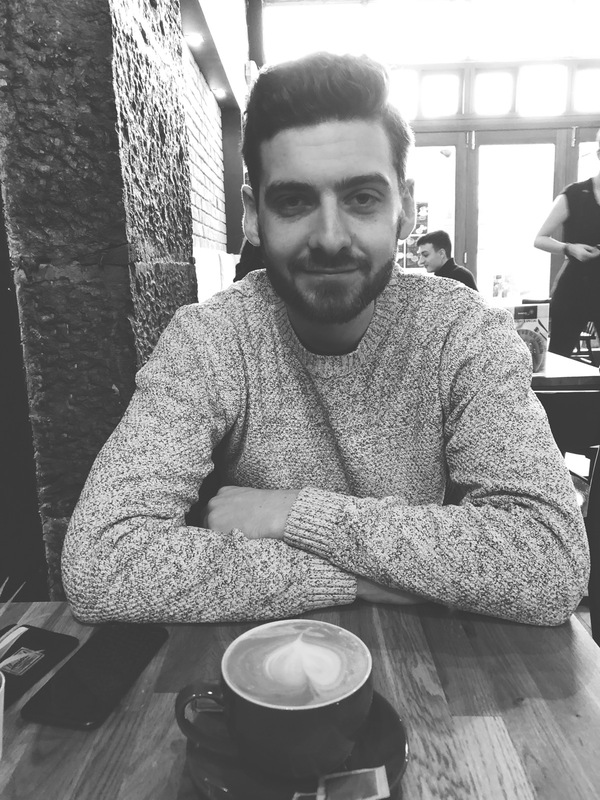 Whilst in Leith, we popped into Finn & Bear where we promptly got a table. We both had the Toad in the Hole which was a huge portion, perfect before the four hour drive back. 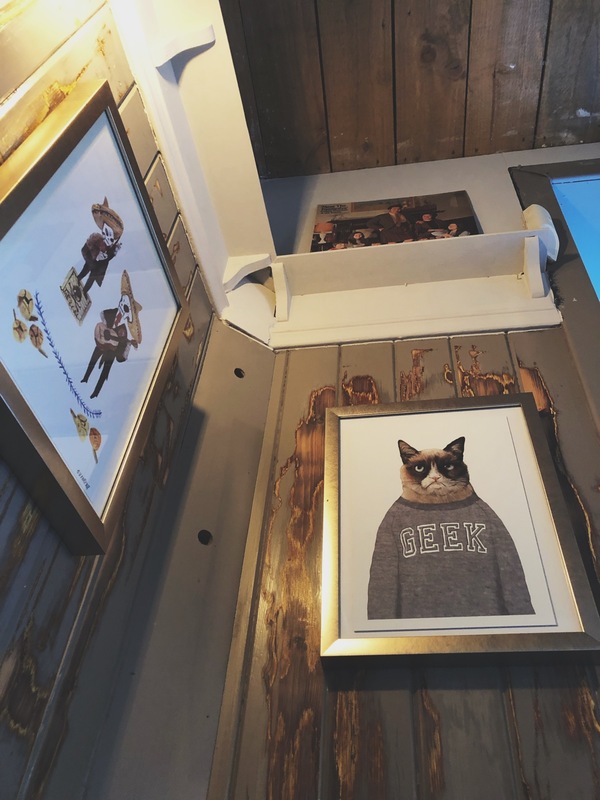 Plus when you have an open fire and a picture of grumpy cat on the wall, I’m sold.